Raleigh Philp was a kind, thoughtful and amazing man. He was a Jensen certified trainer and contributed much to many teachers and professional developers. He passed away far to young and we all miss him. This is one of his many contributions. In teaching it’s what the workshop leader does and does not do that determines what the participants will learn. Neuroscientists have demonstrated through brain imaging studies that when participants are talking about an issue, their brains are much more active as opposed to just seeing or thinking about an issue (Carter, 1999). During OED, participants are encouraged to talk about the issue posed, thereby increasing the chances that the discussion about those issues will be transferred to long-term memory. More importantly, when participants exchange ideas and hear other participants express their ideas without the workshop leader intervening, participants are more likely to form opinions and values that represent who they are that time in their lives. You’ll see that engaging adults with Brain-Based Teaching means using invitation, safety, affirmation and collaboration. And finally, how do we as workshop leaders establish an environment and structure that provides the participant’s psychological freedom to express herself without being fettered or overpowered by the workshop leader’s personal opinions? Granted, when presenting a guided information lesson participant views may not have a prominent place. Envision teaching the structures of the digestive system while trying to incorporate how participants feel about the stomach and small intestine. As you learn and practice the skills of OED it may become clear that there is a place for this strategy in your workshop albeit not to supplant information acquisition. A value is a preferred or important quality, characteristic, attribute, or property. Examples would include; honesty, reliability, productiveness, colorful. Each subject taught has a place somewhere that could lead to on OED. A good focus setting question to begin an OED is critical. The workshop leader must be able to identify a specific topic, phrase the discussion question and create a setting to make the question real. There are three criteria that each question should pass. Is the topic? 1. Within the knowledge of the participants? 2. Relevant to the participants? 3. A question that invites participants to discuss their opinions, beliefs, and values? People What do you think about people that don’t take advantage of what they know about good nutrition? Animals and plants How do you feel about the way meat animals are grown for the marketplace?Should we advocate plants that are genetically engineered for human consumption? Institutions How do you feel about businesses that continue to sell products that are harmful to children and adults? Policy Should we continue to sell foods in markets that are deemed not healthy for people?Should we regulate the foods that are prepared in traditional ethnical ways in spite of the lack of food safety? Event How do you feel about limiting the types of soft drinks that schools can sell? 2. A teaching behavior is a word or set of words or some non-verbal action used by the workshop leader, which is intended to have specified effect on the PARTICIPANT BEHAVIOR. 3. Deciding which WORKSHOP LEADER BEHAVIOR to be used at any given moment during a lesson is based on what the participants do and where they are in the development of the lesson goals. 4. What words or actions used to implement a specific TEACHING BEHAVIOR is a professional decision guided by the workshop leader and the experience the workshop leader has with the class of participants. 5. It’s the TEACHING BEHAVIOR that determines whether participants become aware of the opinions, beliefs, and values they personally hold. 6. The key to a successful OED is for the workshop leader to withhold his or her personal values during the lesson and remain impartial. There are kinds of lessons that workshop leaders will want to express their personal values on an issue and try to persuade or convince participants of their viewpoint. A well- conducted OED doesn’t provide that opportunity. There can be a certain amount of mental discomfort in watching participants struggle with their opinions, beliefs, and values about a particular issue. Be aware of your own discomfort so that you can better resist the temptation to share your own values on a specific subject. Experience illustrates that if workshop leaders will refrain from providing his or her personal opinions and values about an issue, participants begin to think about their own opinions, beliefs, and values and listen carefully what other participants say. Often those participants, who normally would not actively share in your class, will express some profound ideas and values of their own. More often than not, participants will share conservative values on issues that you wouldn’t expect. 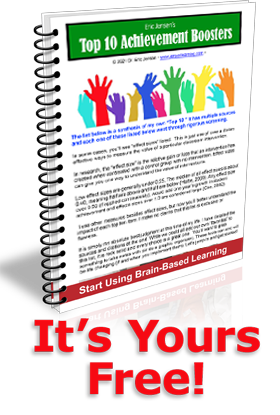 As you begin engaging adults with Brain-Based Teaching you’ll see how using invitation, safety, affirmation and collaboration will work miracles. 2. Specify when they are most appropriately used. 3. Report on the probable effect of their use on participants. The beginning workshop leader behaviors are actions taken to establish and maintain open lines of participant -participant and participant workshop leader communication. The more advanced workshop leader behaviors help participants realize their own values. 1. Specific needs and capabilities of individual participants. 2. The workshop leader’s knowledge of the content and processes. 3. The relationship of today’s lesson to prior knowledge. 4. The direction that the workshop leader wants participants to take in the future. 1. You don’t have to agree with other participants. 2. If you have an opinion, belief or value about the subject we are going to discuss today. We would like you to share it but it will be up to you to decide to do that. 3. Its OK to disagree with someone but no put downs are acceptable. 4. If you want some information, ask for it and I will try to get it for you. 5. This is your discussion. While I may have some personal thoughts and opinions on this subject, I will maintain a neutral position during this discussion. 6. Remember that only one person speaks at a time. 7. If you want a conference, you can ask me and we will take time for small group discussions. This all takes place in a social context. Participants state their opinions, beliefs, and values in the presence of other participants and the workshop leader must take deliberate action to maintain open lines of communication between participants and between him or her and the participants. This requires a non-judgmental environment. Again, engaging adults with Brain- Based Teaching means using invitation, safety, affirmation and collaboration. Focus Setting (FS): This occurs when a workshop leader states a question to be explored by the participants. The workshop leader uses an activity or one question for discussion that makes it possible for participants to make judgments or propose courses of action and report their reasons for those judgments or proposed actions. The question must offer participants several courses of action and should be somewhat controversial to be an effective OED question. Finding good issues to explore is pivotal to promoting effective OED. Issues chosen to discuss should have provide participants with a diverse range of opinions on how to solve it. Issues that provide discussion across a wide spectrum are best. If the focus shifts because of participant or workshop leader interaction it is the job of the workshop leader to inform participants that they are now working on another topic. Here are some FS questions that could be asked by the workshop leader. “One topic you may want to discuss is: How do you feel about the use whole grains for making meals when some foods taste better when the traditional refined grains are used? Workshop leader Silence (TS): This is one of the best ways to affirm that it’s the participant’s responsibility to develop opinions and values regarding the problem. It is a great non-verbal message that workshop leaders fail to use as often as they should. Workshop leader silence provides a cue to participants that it’s their responsibility to talk about the issue and not the workshop leader’s. Because many workshop leaders are uncomfortable with silence it is one of the hardest behaviors to use. An effective time to wait is at least five seconds at a minimum. Participants will begin to feel the pressure because most workshop leaders are talking all the time and participants are accustomed to that pattern. Labeling (L): Labeling the various behaviors that participants use as they work can assist the beginning OED workshop leaders to understand how a OED is different from other discussions. This behavior should be a statement rather than a question. It can be a powerful tool to help participants realize the products of thinking through an OED. Participants become aware of the process. Conference (C): One of the most valuable tools to use during OED is calling for a conference on the part of the participant. You know your participants have really gotten into the mode when someone asks for a conference. In your Constructing (CO) you should indicate to participants that it’s ok to call for a conference. You may need to remind them during the lesson that anyone can call for a conference. This is a “time out” when participants may talk to each other without raising their hands. Dialoguing in this manner can enhance the process. After about 2 minutes, ask participants if they need more time. Try to keep conferences restricted to about 2-3 minutes. Workshop leader Behavior: “Remember that if you wish to have a conference with someone we can do that. I will allow all of you some time to talk to anyone in class about the problem. Participant Response: “May we have a conference…? If workshop leaders are to engage in dialogue with their participants during an OED it is essential that they understand and interpret the responses from participants during the lesson. After beginning the lesson with the Constructing (CO) Behavior, a workshop leader’s comments should be directly related to the participant’s responses. In other words, the workshop leader should provide a dialogue so that responses made to the participant that enhance the OED. Workshop leader responses are determined by the participant behaviors. Generating Information (GI): When the participant asks for information, it is the job of the workshop leader to provide it either directly or indirectly. The key is getting participants comfortable enough with the OED to ask for information. As a workshop leader, you will know that participants are getting better at OED by the amount of data they will ask for prior to stating theories or explanations to the problem. Participant Response: Are there some laws now in place that restrict what foods can be used in schools? This is used when participants state what might be done relative to a given topic. The emphasis is on proposing some action to be taken. The R carries an implicit value judgment about it. Participant Response: “One thing we might do is to ask whether shoppers are following the guidelines for healthy foods as they shop. When you acknowledge participants, they will provide the class with information gleaned from many sources. Some data from their observations may be accurate, some may be inaccurate. Other sources of data will include what they have previously learned and are able to recall. Your task is not to sort out the accurate from the inaccurate, but to identify the reporting of data so participants identify the process and feel comfortable using it. Judging the value of the reported data will be the responsibility of the participants. Again, using the Labeling (L) response, you can help participants understand the OED. Here a response that illustrates how to respond to a RD participant response. Participant Response: I know that people who primarily eat foods that are processed and full of additives are not as healthy as they could be. Participant Response: “I know what’s going to happen if continue to shop for foods like we have been. People will be as healthy as they could be. Reporting a value is the presentation of a statement intended to communicate whether something is good or bad. Participants make value statements about their own behavior, the behavior of others, an object, an event, an idea, a particular person or people. Participant Silence (SS): Participants need time to reflect and think without the workshop leader talking. Sometimes participants want to contribute but are afraid to do so. An effective OED often involves time for participant reflection without pressure from a workshop leader urging them to contribute. Wait at least 10 seconds before intervening if participants are not responding orally. Grab the participant’s attention by providing an anticipatory set. Try an engaging scenario to make the subject interesting and relevant to participants. (Some suggestions might be to use an article, a story, a video clip, etc.). Have information that is critical to the discussion. Perhaps you can make this interactive by using knowledge questions that elicit factual answers, testing recall and recognition. Share the ground rules with participants. Present one focus setting question for discussion. Create a non-judgmental environment that allows all participants to participate. When you feel that participants are finished with the question, suggest another question or conclude the lesson. Participants should be able to formulate and express their own opinions, hear responses or reactions from their peers and become more effective in interacting with others. When appropriate, ask participants if they would like to “conference.” Allow all participants to talk to each other for a designated time then call participants back and remind participants of the ground rules…” One person talks at a time.” Remain neutral, do not influence participant’s response or communicate your opinion about the discussion question. Clarify or paraphrase participants to comments to promote or deepen understanding. Provide additional information only if requested by participants. Adding this statement to the list of ground rules will be helpful. When first participating in these types of discussions a workshop leader may want to ask participants questions about the discussion like: How do you fell about this discussion? How do you feel about the way we have been working? How is this type of discussion different from others you have participated in? What do you do when someone disagrees with you? What are some ways you can express your disagreement with someone and/or someone’s ideas? Allow participants to “internalize” the lesson by asking them to quietly reflect on what they received from the discussion. In some cases it might be helpful for participants to write down their reflections. Carter, R. (1999) Mapping the Mind. Berkeley: University of California Press. Dalis, G. T., Strasser, B. B. (1977) Teaching Strategies for Values Awareness and Decision Making in Health Education. Thorofare, NJ: Charles B. Slack, Inc.